Jakarta (AFP) - Sixteen Indonesians, mostly women and children, have been arrested in Turkey attempting to cross into Syria to join the Islamic State (IS) group, a minister said, the latest case of Indonesians heading to battlegrounds in the Middle East. 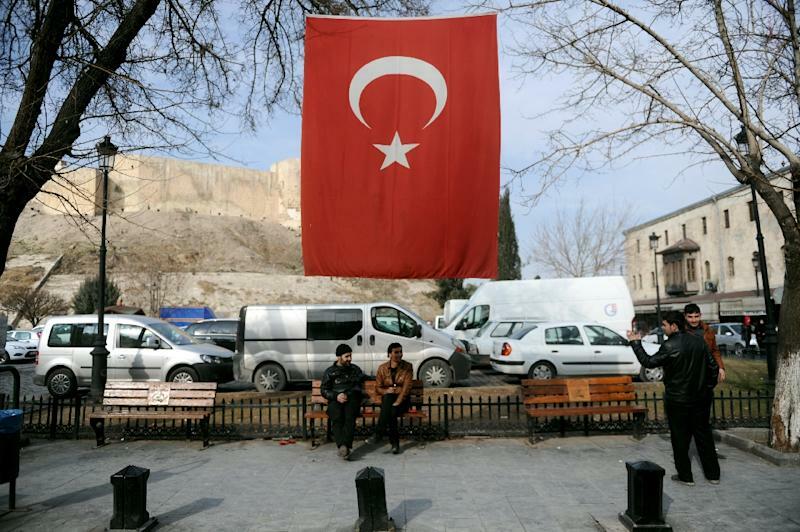 The 11 children, four women and one man from the world's most populous Muslim-majority country were detained in the Turkish border town of Gaziantep. Officials did not say when they were arrested. "We are still investigating... but it is clear that they wanted to join (IS) to have a better life in accordance with Islamic sharia laws," Security Minister Tedjo Edhy Purdijatno told reporters late Thursday. Foreign Minister Retno Marsudi said that a team was being dispatched to Turkey to work with authorities after the arrests. Officials had previously revealed that a different group of 16 Indonesians went missing last month after joining a tour group to Turkey, and were also believed to be attempting to reach Syria. Foreign nationals from around the world have been flocking to join the IS jihadists, who control vast swathes of territory in Iraq and Syria, sparking alarm about the potential for radical fighters to return and launch attacks in their homelands. The case of three British teenage girls crossing into Syria to join IS has caused consternation in Britain, while in Australia foreign minister Julie Bishop has warned young girls looking to become "jihadi brides" that IS is no "romantic adventure". Fears are also growing in Indonesia, which has long struggled with Islamic militancy -- the country's counter-terror chief saying that more than 500 Indonesians are believed to have gone to fight with IS. Jakarta has already banned support for IS jihadists, although experts have called on authorities to take further steps to stop the flow of fighters. Indonesia has waged a crackdown on terror groups over the past decade following attacks on Western targets, including the 2002 Bali bombings, that killed 202 people -- a campaign that has been credited with weakening key networks.